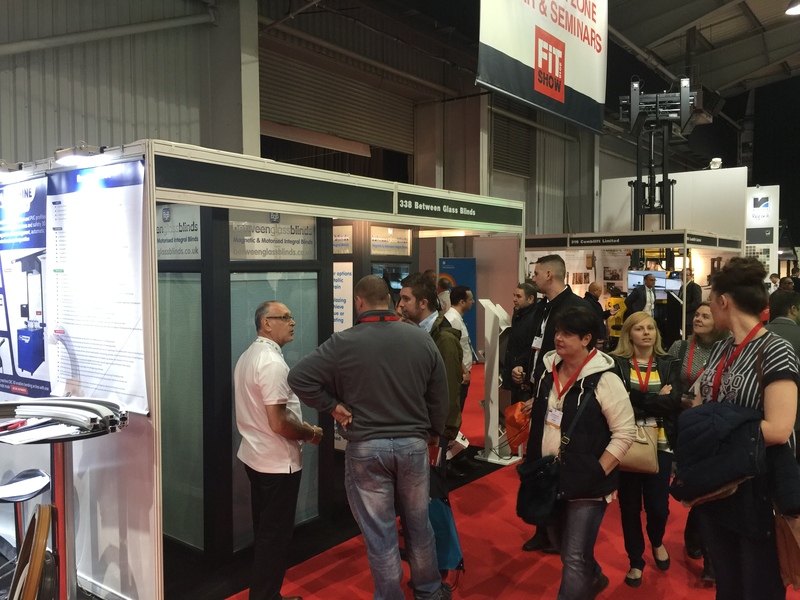 BetweenGlassBlinds enjoy another successful FIT Show! 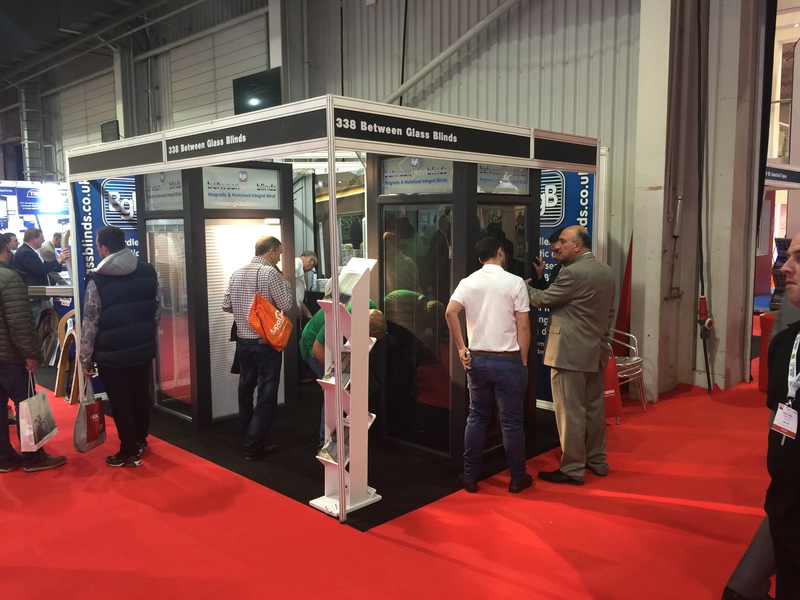 Attending for the second time, BetweenGlassBlinds were again showcasing their stylish, manual and motorised integral blinds at the FIT Show 2016! 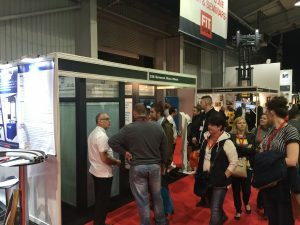 The high quality, versatile integrated blinds offer a combination of high integrity glazing whilst incorporating a versatile and contemporary means of privacy and shading suitable for large door panels, screens, office partitioning, store fronts, residential glazing and commercial building envelopes across all sectors. Manual blinds – Totally cordless system, the manual BGB units are operated via neat and unobtrusive sliding magnetic blocks located around the perimeter of the unit. 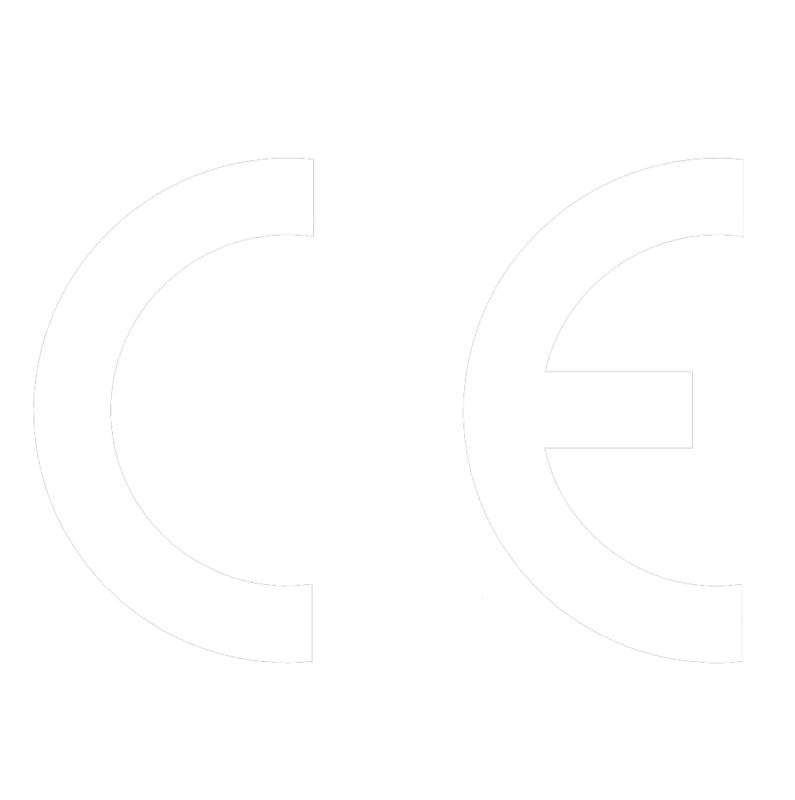 Venetian or pleated versions are available with full lifting operation in one slick and easy motion. Motorised blinds – Available in a range of motorised options ranging from wireless battery powered blinds to hard-wired multi-functional systems designed to be operated by anything from a basic wall switch to the most sophisticated home automation interface. All these systems are user friendly and enable instantaneous shading or privacy at the push of a button. The motors powering the blinds are concealed within the internal head rail of the BGB unit to ensure the noise is kept to an absolute minimum. In addition the stylish look of the integral blind unit doesn’t have to be reduced by the presence of an unattractive solar panel or bulky control box attached to the glass. BGB units are all hermetically sealed double-glazed panels filled with Argon and manufactured in accordance with all parts of BSEN 1279 as well as having the full CE accreditation. Sealed between the glass is a fully operable Venetian blind (pleated and blackout options are also available) which is maintenance free and protected from moisture, dust and damage. Exhibiting on stand 338 of The International Centre in Telford, we were over the moon to catch up with some familiar faces and excited to meet some new ones. The three day exhibition was well attended, the show continues to expand with a record number of exhibitors present and will be relocating to the NEC next year.